Is the Mayor going to break his promise to redefine what ‘affordable’ rent means for the average Londoner? The importance of setting a new definition of ‘affordable’ rent in London cannot be overstated. In my response to the Mayor’s draft Housing Strategy, just published, I’ve voiced my concerns that the Mayor’s efforts to define a London Living Rent include loopholes that break his promise to sort this out. These loopholes mean Boris Johnson’s ‘80 per cent of market rent’ definition will still be the norm in most new developments, leaving Londoners out in the cold. In recent years, under Government policies and those of the previous Mayor, the ‘affordable’ component of many developments has been entirely made up of shared ownership and ‘affordable’ intermediate rented units. The rents in these homes are able to go up to “no more than 80 per cent of the local market rent,” as defined by the Government in the National Planning Policy Framework (NPPF). We have uniquely high private market rents in London. 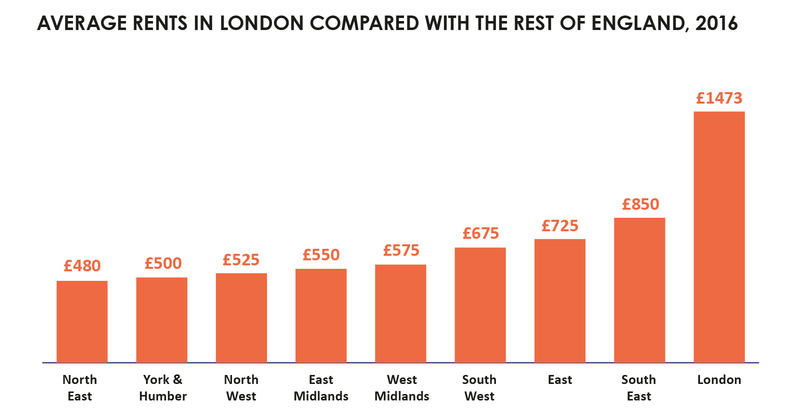 Rents here are nearly twice as high as the median for other regions of England (see the chart above, taken from evidence in the draft strategy). The impact of this runs right through the housing crisis, preventing Londoners saving for deposits and pushing many people into homelessness. With rent inflation also outstripping wages, the case for defining affordability in terms of incomes not market rates is overwhelming. This year, I have spoken in committees and the Assembly with the Mayor and Deputy Mayor James Murray about strengthening the definition of ‘affordable’ in London. I have asked them to make the case to Government more strongly that London should be able to set a definition of affordable that is below this maximum and, ideally, defined in terms of wages not market rates. The Mayor says strongly in his draft strategy that he doesn’t believe the Government’s definition is right for London. He has also defined, as part of his funding programme, a new London Affordable Rent at social rent levels (though these would be higher than the current average paid by social tenants in London) and a new London Living Rent, set at a third of average local household incomes. However, this strategy and the London Plan will apply not only to homes funded by the Mayor but also to the private developments that are expected to meet most of London’s affordable housing needs, through the contributions they make to gain planning permission. 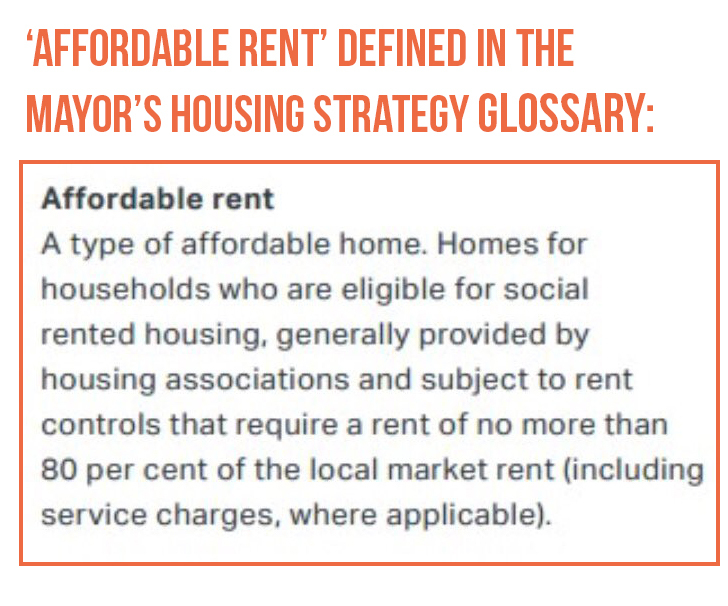 I am therefore very concerned to see that section 4.22 of the draft Housing Strategy includes the comment: “All intermediate rented homes should provide at least a 20 per cent discount on market rents.” and to see the 80 per cent of market rates definition appear in the glossary. This is the old definition plainly stated when it was supposed to be abolished by the new Mayor. 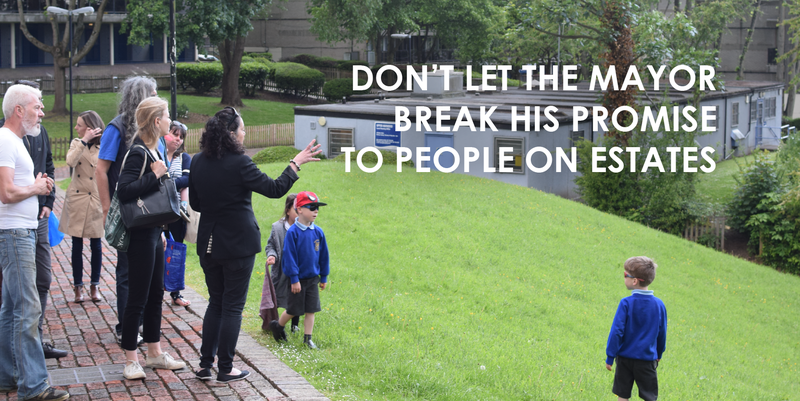 With the Government’s 80 per cent definition also included in policies in the draft London Plan, I think we’re looking at a broken promise from the Mayor – maintaining a loophole that developers will exploit, and failing properly to move away from the old definition of ‘affordable’. 1. 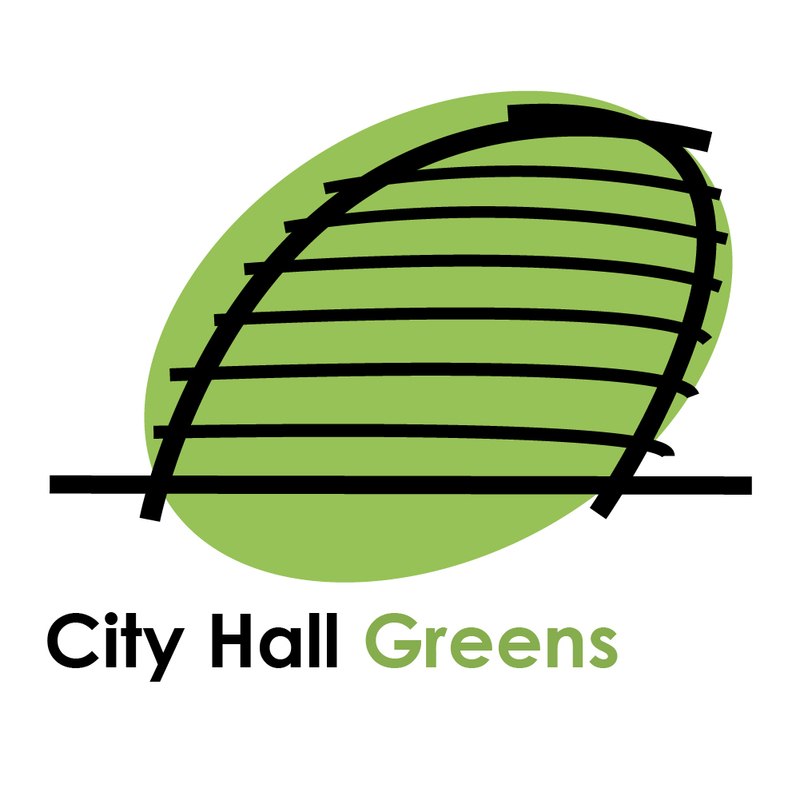 In the Mayor’s discussions with Government for devolved housing powers, he should seek to allow London to set its own definition of affordable within both our funding programmes and planning policies, based on the very high cost of market rent in London. This would be the most effective way to achieve our goal as any new definition should be set in relation to wages, rather than market rates, and this requires a clear deviation from the NPPF. 2. Through the London Plan, we should define intermediate ‘affordable’ rent at a lower maximum proportion of the local market rate. This would still be compliant with the NPPF, as it would not be above 80 per cent, but there is enough evidence to convince an examiner of the validity of a policy that required a lower limit in London. I’m a borough councillor in Camden and there the council has set up its own housing company to rent out some of the new flats it is building on estates. These were promised at a Living Rent but, now the first flats have gone out for renting, it’s clear that these aren’t following the Mayor’s definition of a London Living Rent, especially not for families. Read more about this on my local website: Camden Council pushes out families with high rents in its new ‘Living Rent’ scheme. I’ve asked the Mayor in a written question this month what he thinks about councils undermining the term Living Rent in this way. He’s been very vocal about the previous Mayor’s definition of ‘affordable’ being nothing of the kind, and I think he should be standing up against people creating confusion about his new definition so soon after it was established.